Have you ever had that “aha moment” when you heard the voice of your mother tumble out of your mouth? You’re doing the talking but her voice is coming out. This happens to all moms at some point. The first time is a bit of a jolt: When you tell your kids to scrub their ears so potatoes don’t grow from the dirt in there or to wear clean undies in case of an accident. Maybe hearing your mom in your voice makes you smile. Maybe it depresses you or freaks you out a little. However it makes you feel, it probably brings all mom’s one-liners to the forefront of your mind. 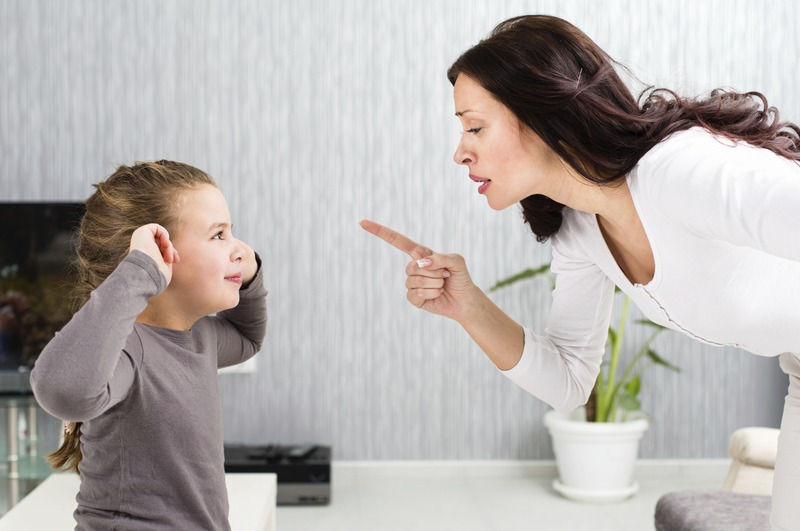 I like old sayings such as “what comes around goes around” and “mother knows best,” but here are a few parenting one-liners we need to think about ditching. … or China, or… wherever. In reality, there are children who don’t have enough food, material possessions or love living in your town. Your town. There’s a time and place to introduce global problems like hunger and poverty to your kids. Have honest, timely discussions when they’re old enough to grasp big-picture issues. Find opportunities for those teaching moments, but touting starving kids in faraway lands as a “clean your plate” tactic might not be the best way to get your kids to eat or boost their social awareness. It’s a challenge to teach our children to be appropriately mindful of the wisdom of their elders without squelching their desire to share their young voices. Kids can to learn to balance expression with effective listening. Communication skills are important when we’re talking about raising up the next plugged-in generation. Let them talk… and really listen. What you hear may surprise you. We’ve all heard the line about our grandparents walking two miles in the snow uphill (both ways) to get to school. While it’s often tempting to tell kids how easy they have it, that usually doesn’t have much impact on their thoughts and actions in the present. Most tweens can’t relate to the idea of a three-foot cord tethering their phone to the wall. The words “when I was your age” send your child’s brain into shut-down mode where the only thing that computes is “Mom’s talking about the olden days again.” By the way, the olden days are known as anything before 1978. If you live in a two-parent home, your kids probably know exactly who’s the heavy and who’s the softie. Maybe some form of good cop/bad cop is unavoidable, but automatically punting the responsibility for action to other parent might not send the right message. Yes, maybe the poop will hit the fan when Dad gets home — but using this as an empty threat sends the message that Mom’s opinion doesn’t pack as much of a punch. Why do I have to wash behind my ears? Why can’t I wear my pajamas to church or have ice cream instead of broccoli? Answering “because I said so” might be a time-saving alternative to explaining the importance of good hygiene and nutrition to a small human who will “”but why” you to death when you try to have these little teaching moments. Yes, sometimes kids’ questions are exasperating. Sometimes “because I said so” is the fastest way to get everyone out the door. But, just maybe, we should exercise a little more thought before we automatically spit out that answer.